Real estate located on the Bosphorus, dubbed ‘the necklace of Istanbul’, has traditionally been sought after and remains as one of the most expensive real estates in the world today. 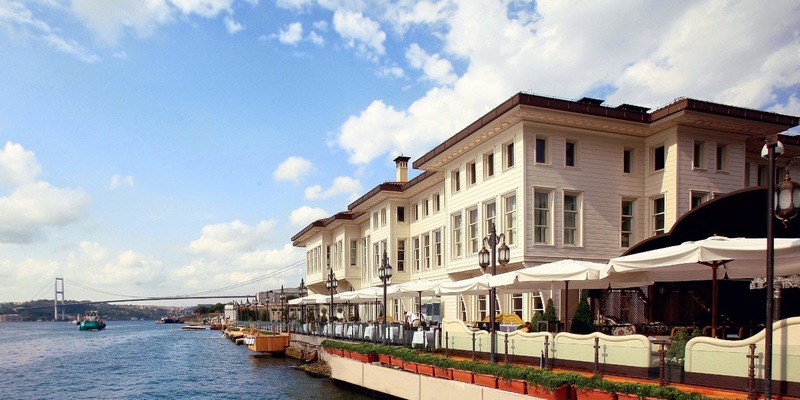 Not surprisingly, these Bosphorus-front properties that have been converted into hotels predominantly fall into the luxury category. In this list you will find two bona fide palaces, three yalıs, a.k.a. 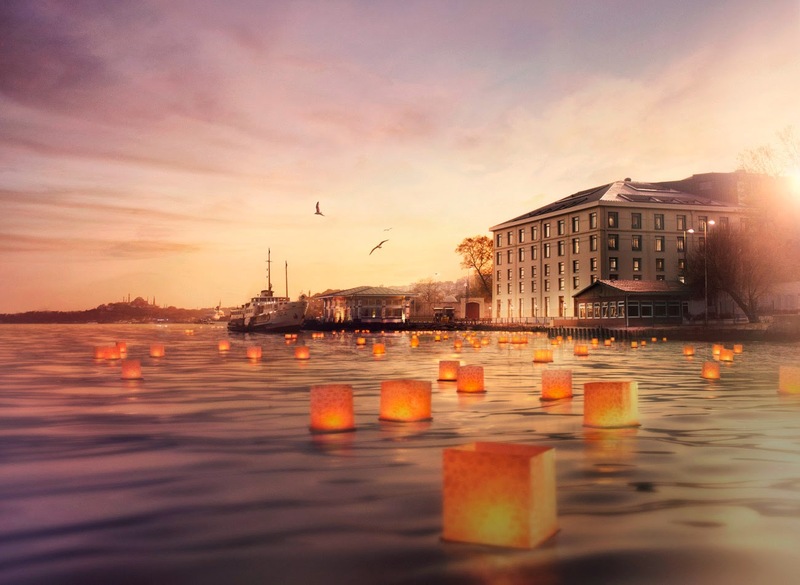 waterfront properties, one tobacco factory, a rakı distillery and a classic on the Istanbul hospitality list. 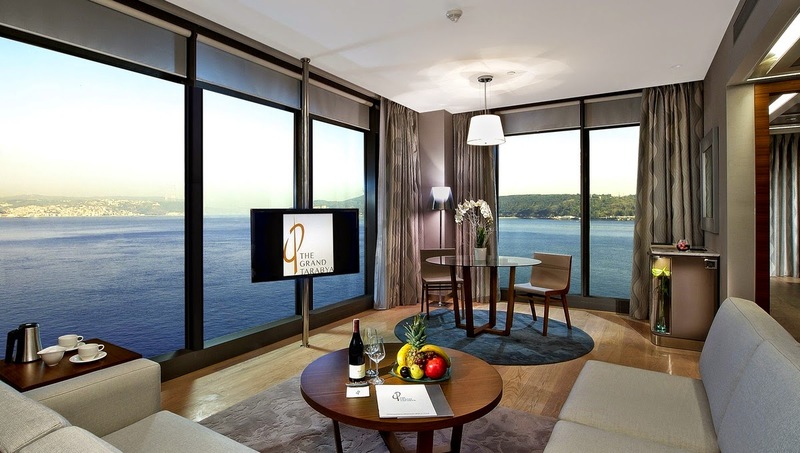 With private piers, guests often avail themselves of airport transfers by boat or, take a leisurely Bosphorus tour during their stays at the these hotels. With yalıs being a prominent feature on any boat ride along the Bosphorus, it has become possible to customize a yacht Bosphorus tour to focus on the history of prominent yalıs dotting both sides of the Bosphorus. Urbane Nomads is able to customize a yalı tour, ending it with an afternoon tea in a yalı where you can see one of the largest Ottoman art collections in Istanbul. 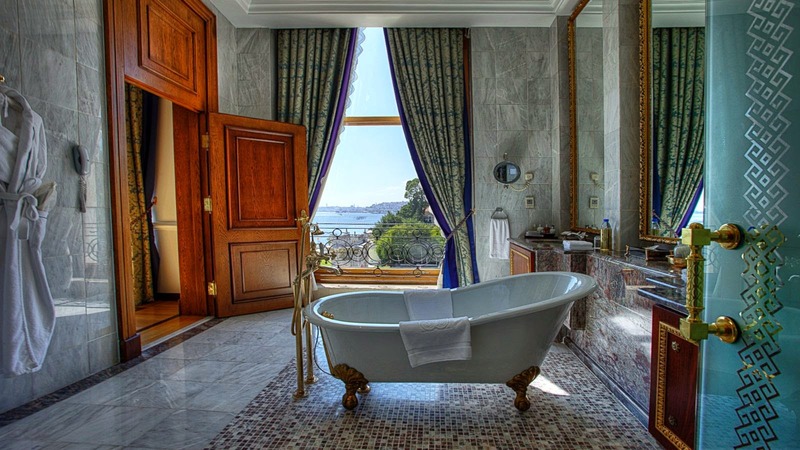 Çırağan Kempinski, the granddaddy of hotels on the Bosphorus, was originally a palace built for Sultan Abdulaziz. What remains of the original structure though is only the hamam, saved from a fire in January 1910, due to being constructed entirely in marble. 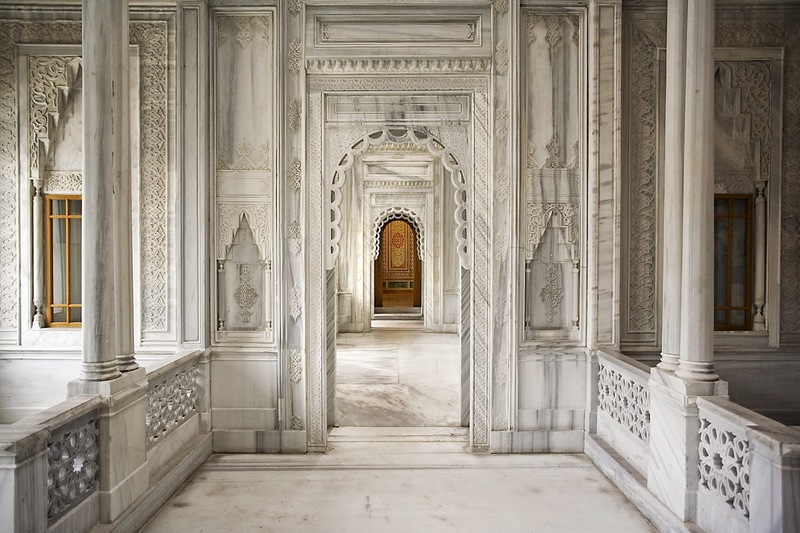 The hamam had played host to Empress Eugenie during the time of Sultan Abdülaziz. 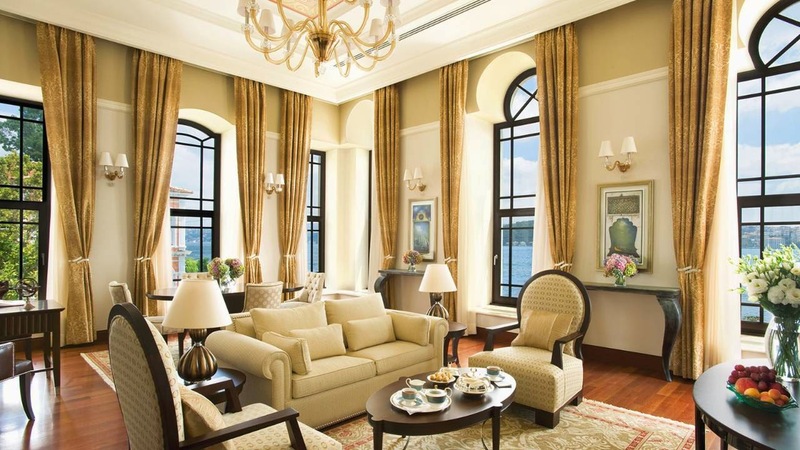 The reconstructed palace of the Çırağan Kempinski is an all-suite hotel, hosting some of Europe’s largest suites. Guests are greeted at the helipad by their butler. There is a total of 11 suites. Next door is the hotel extension providing rooms with either a view of the Bosphorus or Yıldız Park, once the hunting grounds for the sultans. The restaurant, Tuğra, is one of the best restaurants in Istanbul that specializes in the remaking of Ottoman Palace a.k.a Osmanlı Sarayı cuisine. The Four Seasons Bosphorus, located almost next door to the Çırağan Kempinski, opened in June 2008. Set in a 19th century building, this hotel is the aesthetic antithesis of Çırağan Palace. Reflecting its more contemporary opening date, the hotel is subtle, carrying earthy tones with an interior décor style consistent with many of the Four Seasons’ city hotels. Originally built as one of several secondary residences to the Sultan’s main summer residence and therefore with none of the history of and almost as expensive as its neighbour, the Four Seasons attracts a completely different sort of clientele; those looking for greater discretion and the more contemporary, personalized setting of this luxury chain. 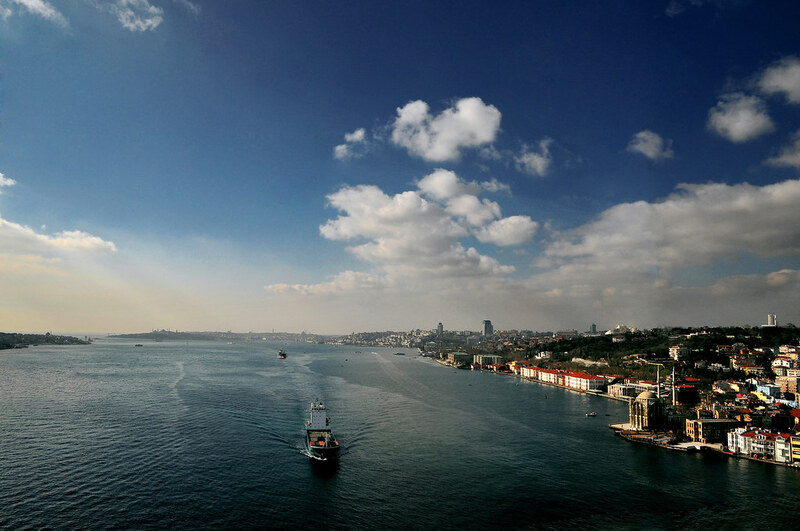 The Shangri-la Istanbul signals the entry of the Asian chain into Turkey. Located in the central Beşiktaş neighbourhood and on the site of a former tobacco warehouse, this hotel thrives not on the prestige and royal history of the two above, but rather the centrality of the Beşiktaş neighbourhood in contemporary times. The Asian aesthetic is preserved through little touches- Chinese tea is provided in every room at Shangri-la. Shang Palace, the hotel’s signature Chinese restaurant, with its kung fu tea master and a Peking duck table is regarded as the best Chinese restaurant in Istanbul. 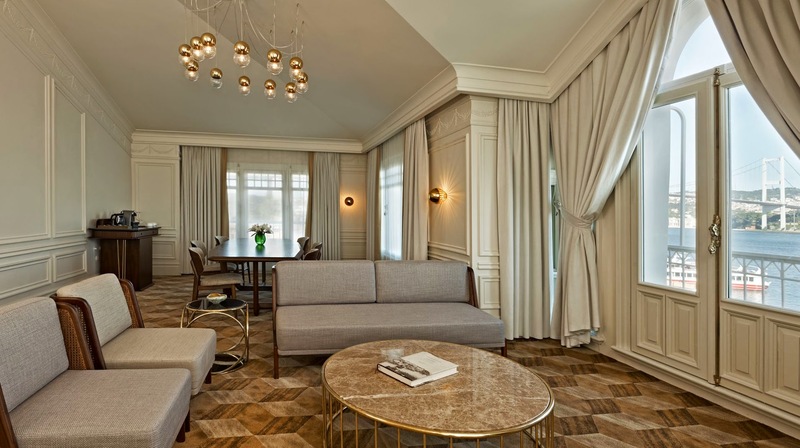 Located on the edge of Europe, the House Hotel Bosphorus marries a 19th century façade with the stylistic thumbprint of Autoban, the Turkish design duo behind many of Istanbul’s Wallpaper-approved cafes and bars, including many of the House chain of hotels and cafes. The patronage of local collaborators do not end here for the toiletries are supplied by Lokum Istanbul, another Turkish company that has successfully exported Turkish contemporary design. 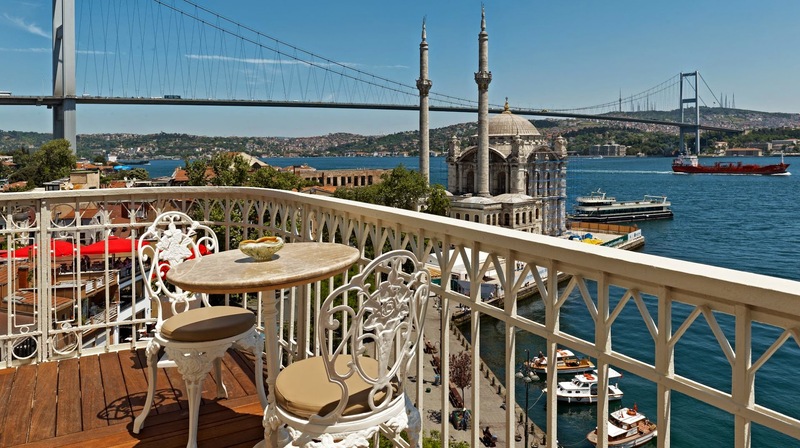 Located in Ortaköy, previously a fisherman’s village, this neighbourhood has been gentrified with tenants the likes of Zuma Restaurant, Anjelique Night Club and Feriye Restaurant, converted from what used to be the hunting mansion of the sultans. 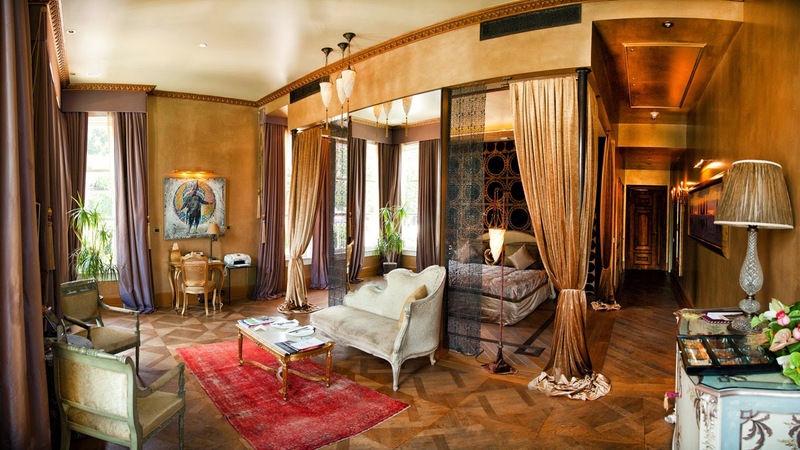 Les Ottomans is an intimate all-suite hotel with just 10 suites. 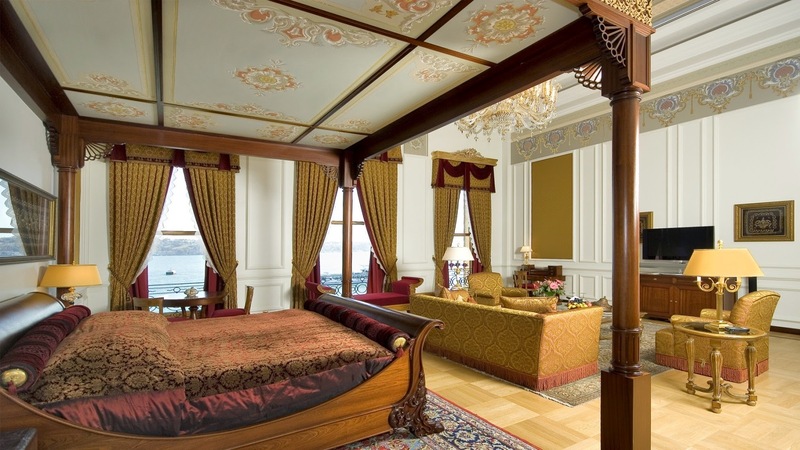 Previously the Muhsinzade Mehmet Pasha Mansion, one of the most prestigious mansions of that time, the hotel has been restored with a style that is all out Baroque. Designating every room as a suite is justifiable given the size of the rooms. Every guest is extended the services of a private butler and each suite comes with a fruit and nut snack platter that is replenished daily. Given that there are only 10 suites, the facilities of Les Ottomans is impressive, with a dedicated Vinotherapie Spa by Caudalie and a private cinema. In the suites, you will find up to 3 LED TVs, complete with Blue-ray 3D DVD player and 3D eyeglasses. Moving on to the Asian side, A’jia is not the obvious choice for a first-timer to Istanbul but would suit those looking to experience the calmer side of Istanbul. Fashioned out of a pasha’s mansion, this sleek hotel has been renovated to suit more contemporary tastes. The large rooms are sparse and of the minimalist persuasion. Its proximity to the water would make you feel like you have just woken up right on the Bosphorus; the illusion of the hotel floating on the Bosphorus waters continues even when you’re indoors. There is a chic restaurant where you can eat right by the Bosphorus and the hotel provides shuttle boat rides to the European side. Re-appropriated from an old rakı distillery, its name deriving from the word ‘suma’, the ingredient for rakı, Turkish-American owner-architects Nedret and Mark Butler have transformed this space to appeal to the design-conscious crowd. Winner of the Andrew Harper Grand award in 2011, the hotel is also home to Tapasuma, a restaurant featuring the best of seasonal fish dishes with a private dock and an 8 meter long marble bar displaying Turkish mezes with a unique twist. 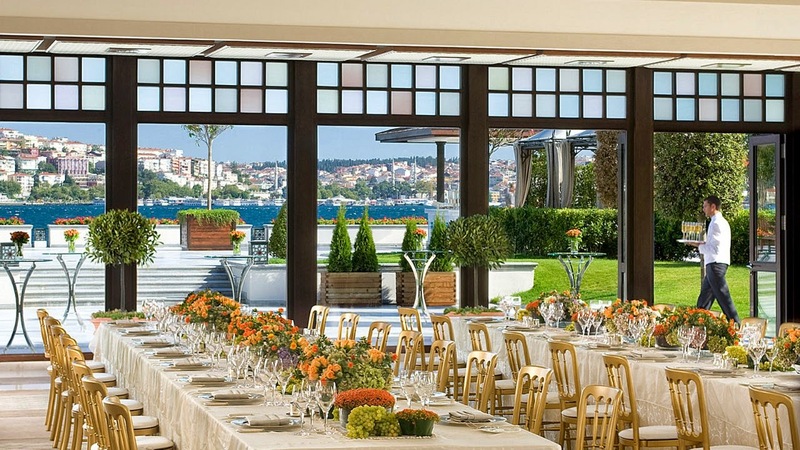 Located on Tarabya bay, this is the only hotel on the list that started out as one. 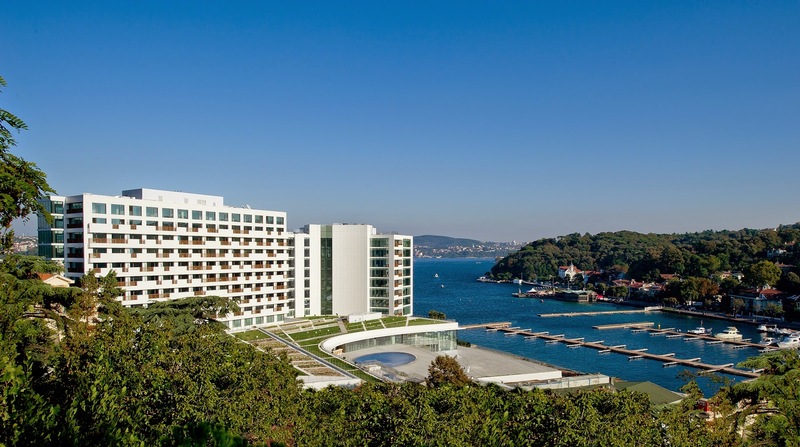 Billing itself as one of the original 5-star hotels in Istanbul, the Grand Tarabya has received a complete renovation, opening again in 2013. 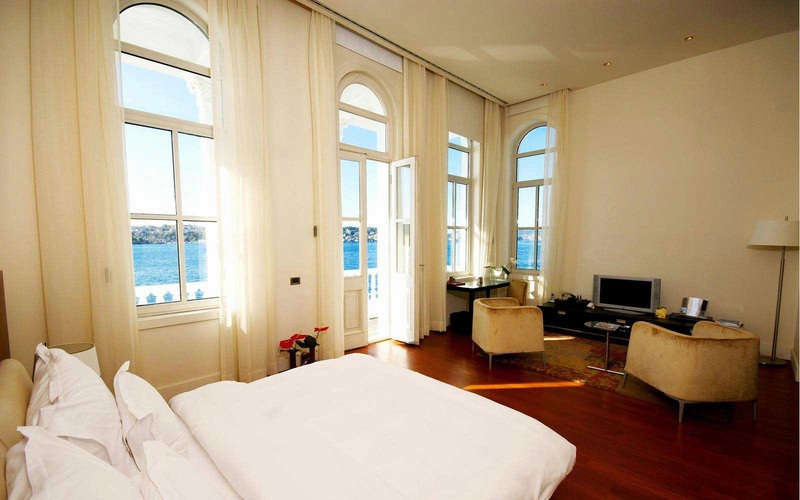 Boasting of 270 degree views of the Bosphorus, rooms come with either a Bosphorus, marina or garden view. Due to the unique location of Tarabya bay, situated at the tip of the Bosphorus, shaped like a horse shoe if seen from above, one can technically be situated on European soil whilst gazing at the Asian side of the Bosphorus from a room here. As this list’s furthest hotel from tourist sites amongst the hotels on the European side, the Grand Tarabya Hotel capitalizes on its views as well as the marina’s appeal to yachtsmen. Hajar Ali is the founder of Urbane Nomads, a travel company specializing in luxury adventure travel. She considers Istanbul her favourite city in the world.